again is an ancient city in modern day Myanmar (formerly, Burma). It was the capital of the Pagan Kingdom, a culture that ushered in the spread of Burmese identity, language, and culture. Over 10,000 Buddhist temples were constructed in the Bagans plains between the 11th and 13th centuries, plenty of which survive in varying states of decay. Continue reading to see how I found a 3D model of a Bagan Temple, how I brought it into social VR with Frame, and a few thoughts on digital preservation. Just want to see the Frame? Go for it. 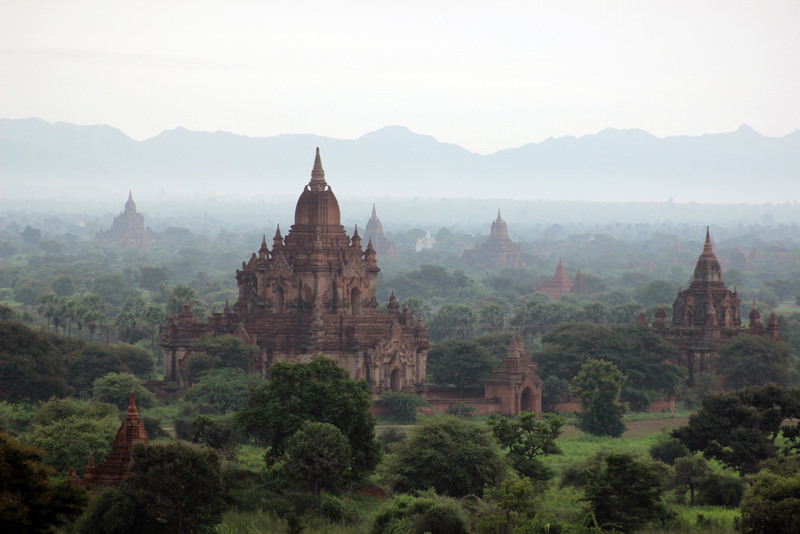 Bagan temples have a precarious existence. There was an earthquake in 2016 that destroyed 400 of them, and the government sometimes embarks on restoration projects that are controversial at best and destructive at worst (see here). When thinking about the Bagan temples, or what happened with ISIS and the ancient site of Palmyra, or the recent fire at Brazil's National Museum, it's clear to me that digital preservation is important. I know there's a lot of debate swirling around about whether museums need to digitize their collections, but those not involved in this kind of work often don't understand how expensive it is. For example, getting high-resolution 3D models of sites and artifacts via photogrammetry (the art of creating 3D models from photographs) is no quick feat, although the software and hardware used for this purpose are improving rapidly. There are cultural heritage preservation projects that not only do the work to create 3D models and 360 photos, but they also share them online on sites like Sketchfab. Sketchfab even has a dedicated Cultural Heritage section where you can browse those models (and download many!). Some of them are extraordinarily detailed (e.g. check out this Tomb of Nefertiti). It's on Sketchfab that I found the 3D model of the Bagan temple at the top of this post (see the model on Sketchfab here). I noticed that this model was created as part of a broader effort by the CyArk Open Heritage Project. Quick PSA about CyArk. In their words, "CyArk is a non-profit organization founded in 2003 to digitally record, archive and share the world's most significant cultural heritage and ensure that these places continue to inspire wonder and curiosity for decades to come." 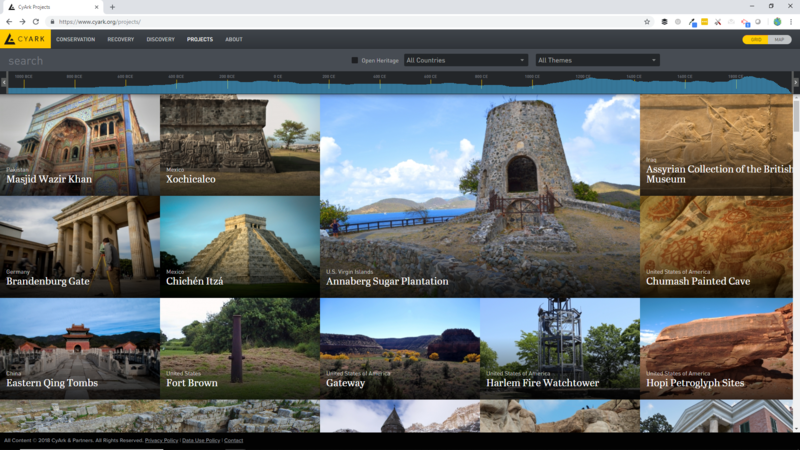 Teachers, if you're looking for a gold mine of digital preservation projects that include 3D models, photospheres, images, and videos, you are going to love browsing CyArk's projects. You also must check out the CyArk Open Heritage Project on Google Arts & Culture. This is a treasure trove of curated cultural heritage preservation projects. I'll be honest - I'm still reeling from how awesome these sites are. CyArk even has a collection of thoughtful lesson plans that can be paired with their projects. When I found the Bagan temple from CyArk on Sketchfab, I immediately wanted to meet inside of it with someone else so that I could explore it with others and talk about it. Naturally, I made a Frame with the Bagan Temple, because Frame is being built for this use case (among others). Notice: when you open this Frame, it might take up to a minute for the model to load. We don't have a loading bar for assets yet, so don't be alarmed when you don't see the temple immediately. 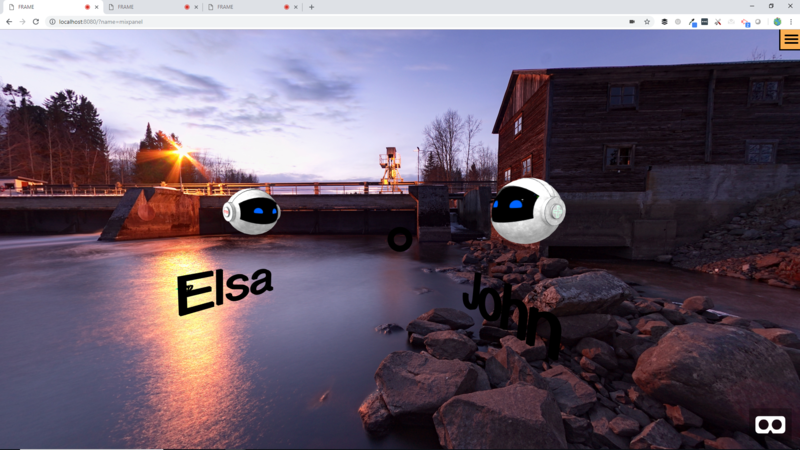 Because Frame is built with WebVR, you can browse it on desktop, mobile, or VR right from a web browser. First, I made an account in the Frame sidebar and claimed a Frame, giving it the name "Bagan". You can open the sidebar with the orange button on the top right of Frame. Using the quick flow outline here for bringing models from Sketchfab into Frame, I brought in the Bagan Temple with an image. I didn't want the temple to be "grabbable" in Frame, so I hovered over it with the cursor and pressed "g" to make it ungrabbable. That's it! If you give it a try, keep in mind that in order for the Frame to load well across all devices, you should find a model with no more than 60K triangles. You can see the triangle count by going to "more info" on the Sketchfab page for a model. Frame is only in alpha, but feel free to take it for a spin. Note: If you have an idea for a cultural heritage VR project but Frame doesn't do exactly what you need, we also do custom VR development work. Shoot us a note at hello@framevr.io to start a conversation.